Larniano is a village located just outside the town of San Gimignano and is part of its municipality. 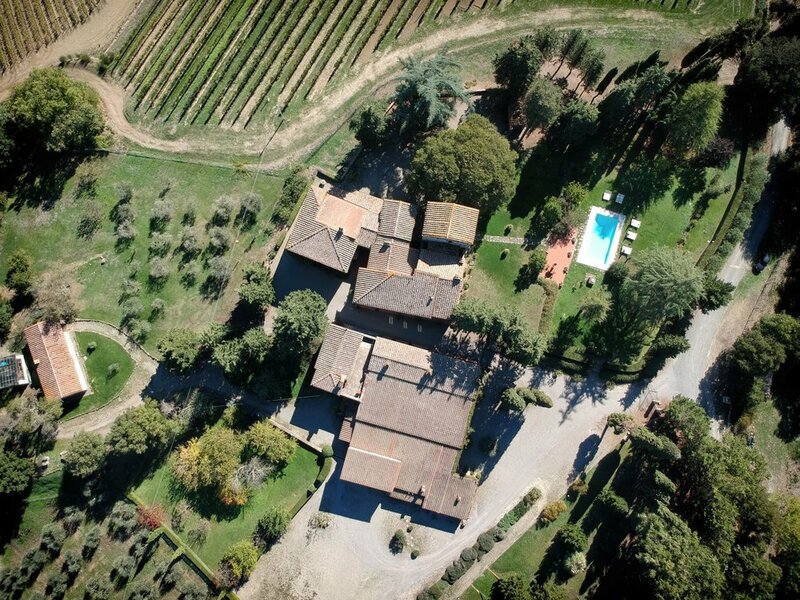 The presence of farming activities there made is to that Larniano is now referred to as Fattoria. 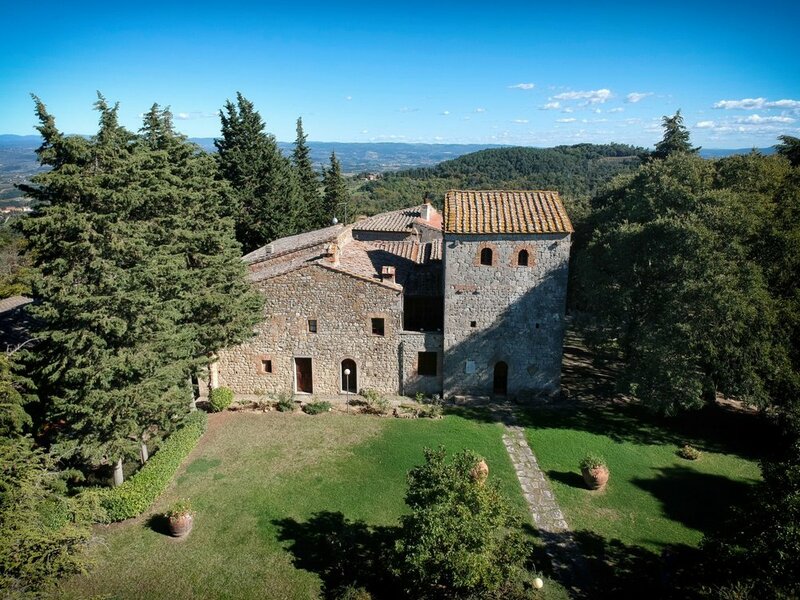 Larniano is located in the immediate vicinity of San Gimignano, about 30 minutes from Siena and Florence. From Larniano, guests can make amazing one-day excursions: they can visit Crete Senesi, Val d'Orcia, Pienza, Montepulciano, Montalcino (Southeast); as well as Volterra, Lucca and Pisa (West). The nearest beaches are those on the Etruscan Coast, which is about 1 hour and 30 minutes away, but guests can also reach the beaches of Livorno and Cinque Terre in a one-day ecursion. The village of Larniano, in ancient times also called Lariniano, is mentioned in a document of the City of Volterra dating back to 906 A.D.,although there is no historical evidence of it until the Thirteenth Century A.D.. Larniano is mentioned in a Volterra Synod document of 1356, and even earlier in one of 1216. Up to 1782, when San Gimignano was taken from the diocese of Volterra, Larniano was part of the territories of Pieve di Cellole. However, one can find in Larniano an Etruscan tomb and even Roman remains. Given the characteristics and the materials used for the construction of this villa, its origins can be traced back to the Eleventh or Twelfth Century A.D.. The villa is close to what was undoubtedly a path of Via Francigena and certainly its function was primarily that of a guard post or a toll payment post. Torre di Larniano is an architectural complex built around a tower, consisting of several buildings including a small church dedicated to St. Martin and the imposing medieval tower from which it takes its name. It is thought that this tower, very similar to that of the villa, was built later than the other due to a curious circumstance: it is in perfect alignment with the Tower of Buonriposo and with Torre Grossa in San Gimignano (XIV century A.D.). It therefore follows that the Larniano tower and that of Buonriposo were built in order to better control the territory during the years of struggle between Siena and Florence. Si tratta di un complesso costituito da vari edifici fra cui anche una piccola chiesa dedicata a San Martino e l’imponente torre medievale da cui prende il nome. Si pensa che questa torre, molto simile a quella della villa, sia stata costruita più tardi rispetto all’altra a causa di una circostanza curiosa: è infatti in perfetto allineamento con la Torre di Buonriposo e con la Torre grossa di San Gimignano (XIV secolo circa). Se ne desume quindi che la Torre di Larniano e quella di Buonriposo siano state costruite per poter meglio controllare il territorio durante gli anni delle lotte fra senesi e fiorentini.